Why I'm saying this is because Carrasco is only 24, and has a whole decade of football ahead of him. So, with time and age on his side, staying put in Europe was definitely a better option given the platform he had at Atletico Madrid and the competitiveness of the league they ply their trade in. China can brag about nothing of the same. Not only is the platform not big enough to announce oneself to the world or make an impression, the league also lags light years behind its European counterparts when it comes to being competitive. Despite possessing some well-known names in Oscar, Ramires, Graziano Pelle, Gervinho, Ezequiel Lavezzi and countryman Alex Witsel, the league remains criminally short of flair, domestic heroes, fierce rivalries like we see in Europe, as well as glorious histories that might just ignite one. 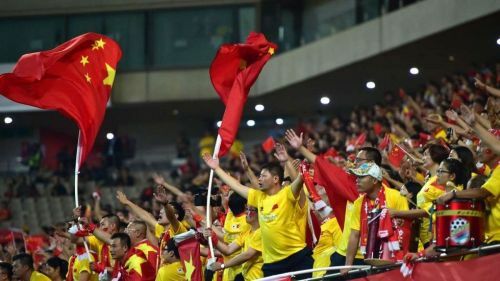 Chinese football, with all due respect, is as tawdry as it comes and surely not a place for a 24-year-old talented footballer to sharpen his skills.